The tool is easy to comprehend, practice and periodically apply as needed, for dramatic improvements in ANY relationship. You'll have access to the succinct and powerful video training whenever you need it, 24/7 for as long as you are enrolled. Easily apply the learning quickly, plus download the visual model for a convenient reminder near your phone or computer. 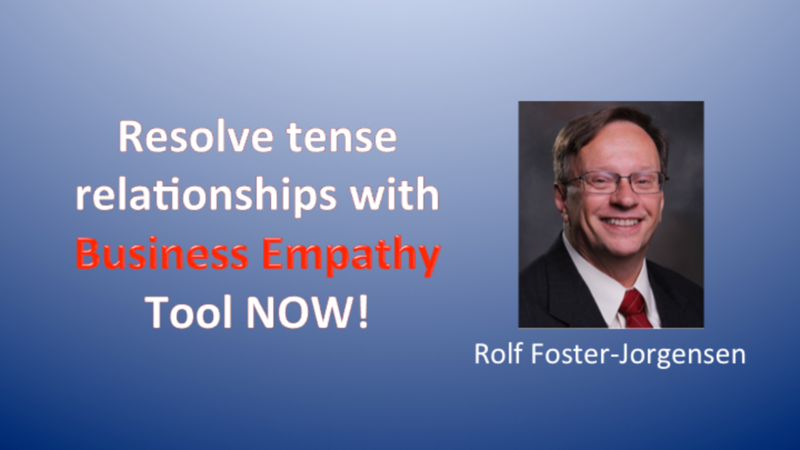 With this economical purchase, just watch the video by Rolf Foster-Jorgensen, founder of the Business Empathy Tool and 30+ year successful consultant, facilitator, trainer and coach for Fortune 500 and other clients. Then download your copy of the tool to keep handy near your computer and phone for easy implementation whenever you want to TRANSFORM relationships into ACTION. This is a powerful, yet easy-to-learn, tool to help transform relationships into action. Let's work together to check this out! Thanks. 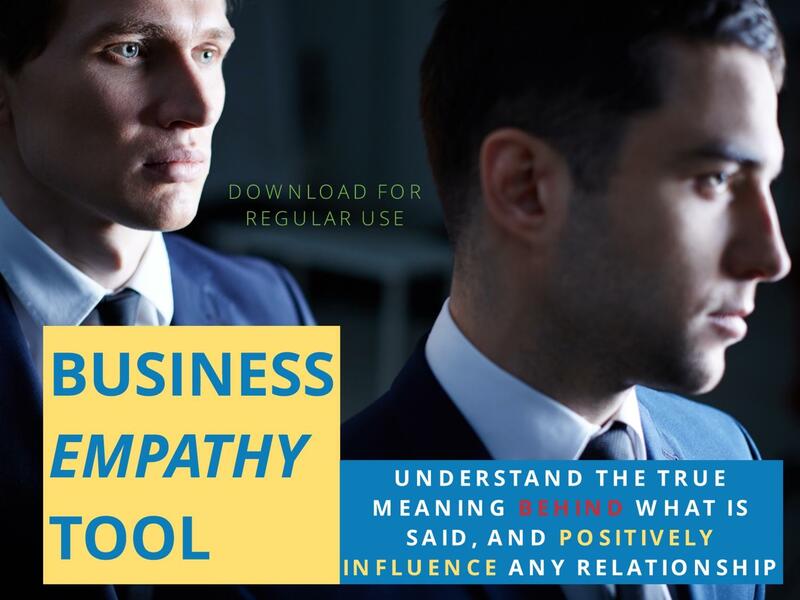 Regardless of whether you believe our Business Empathy Tool can help you improve business and personal relationships, let's keep in touch about Consultative Skills and related educational opportunities. Just provide the information below AND remember to also reply to the confirming email. Thank you.